DAVID LE/Staff photo. 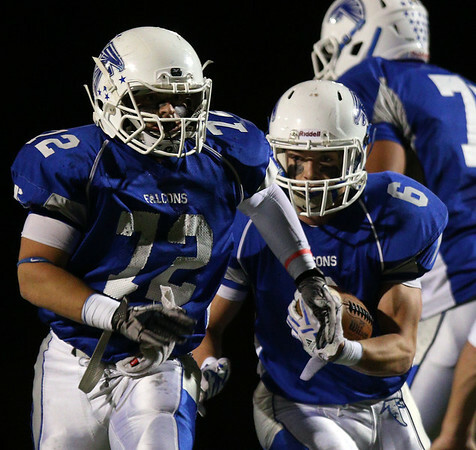 Danvers senior captain Danny Lynch follows a block from senior teammate Steve Goutzos (72). 10/30/15.